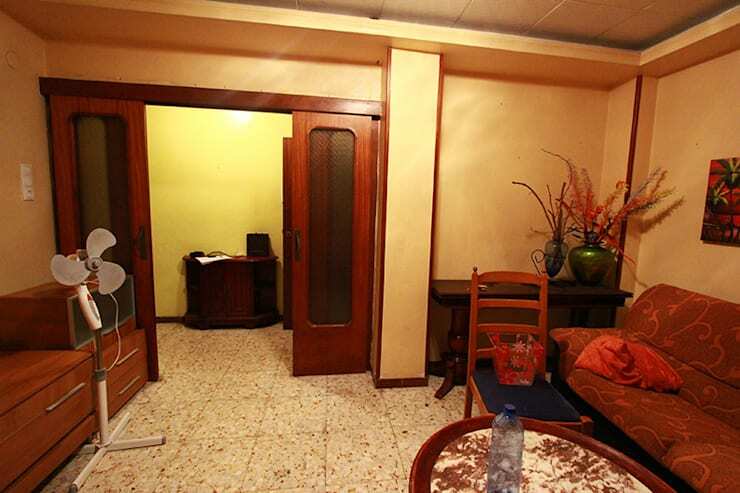 Before & after: From a terrible flat to a beautiful home! 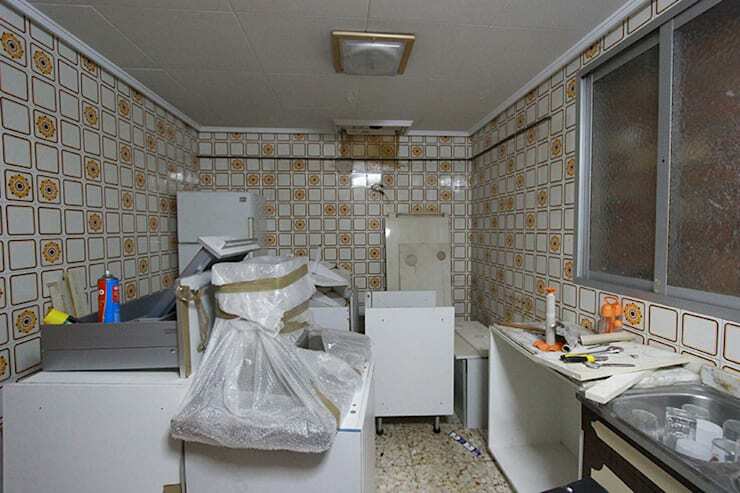 The old-fashioned floor and wall tiles of this shabby kitchen belong to a bygone era. 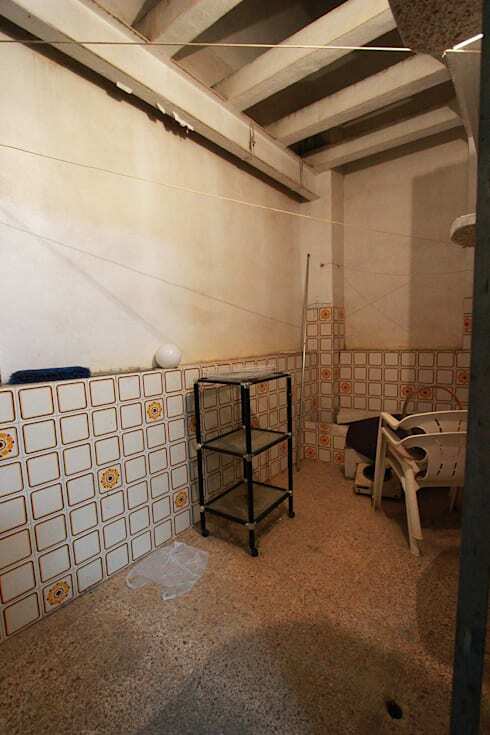 The furniture and fittings are pedestrian at best. 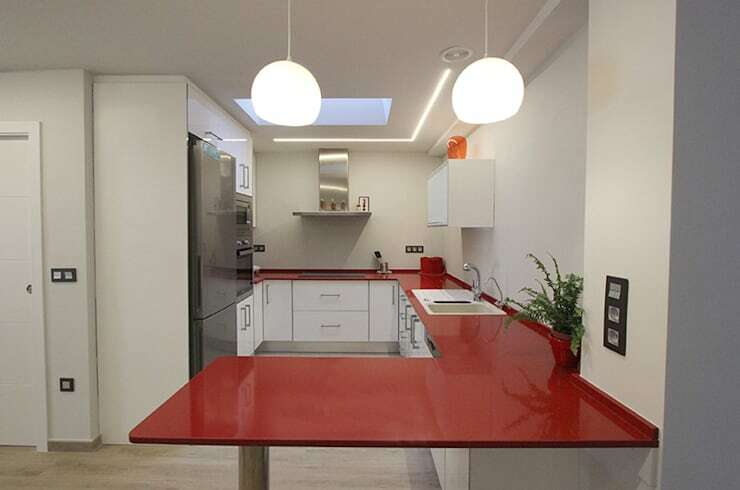 The modern and elegant white and grey palette contrasts brilliantly with the vibrant red countertop – what an incredible transformation! The trendy hanging lights look stylish, and the substitution of windows with a skylight is a touch of genius. A red countertop again provides a lively contrast to the neutral hues of this space, which is given an extra dollop of class by a warm wooden floor and potted plant. The living room looks unattractive to say the least! 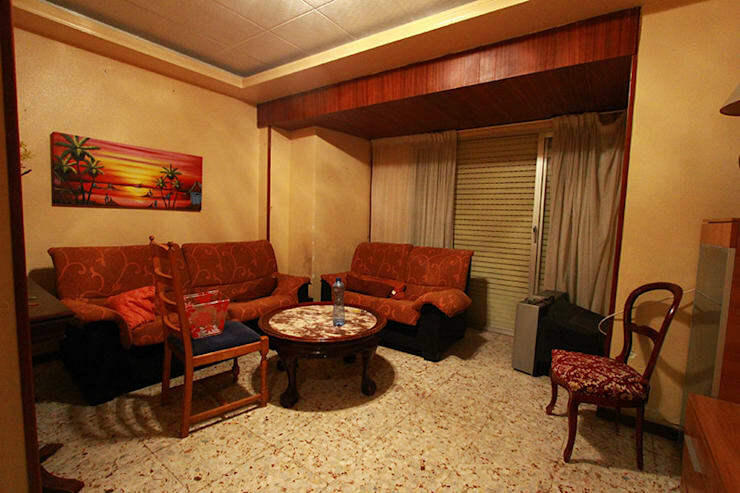 The furniture and accessories lack aesthetic appeal, and the space feels claustrophobic. The utility area flows into an outdoor space that has been remodelled with the use of white paint and interesting roof beams. The colourful flowerpots add a dash of colour. 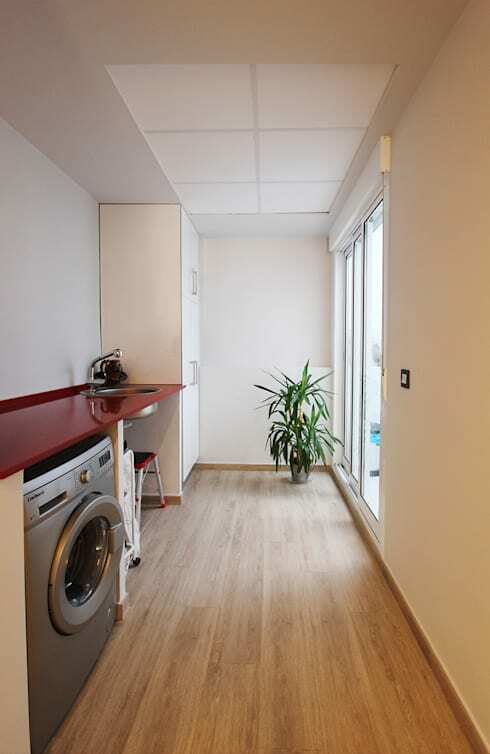 The kitchen, dining and utility areas are seamlessly integrated by a classy wooden floor. 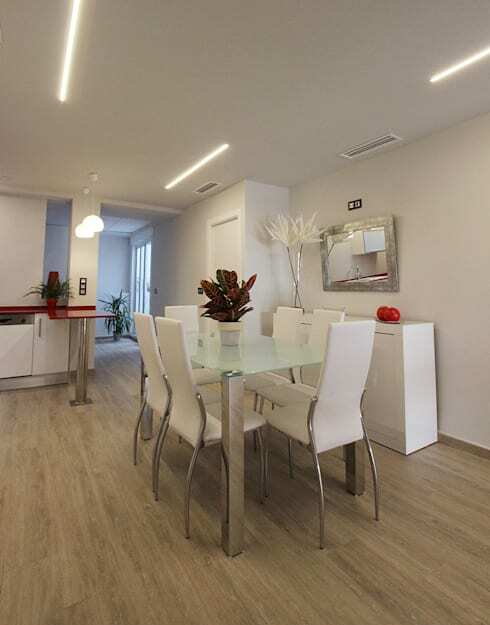 The glass and metal dining table and white chairs give the area a stylish look that is enhanced by the linear lights. Viewing the living room from another angle, the heavy sofa and tasteless décor really needs to go! 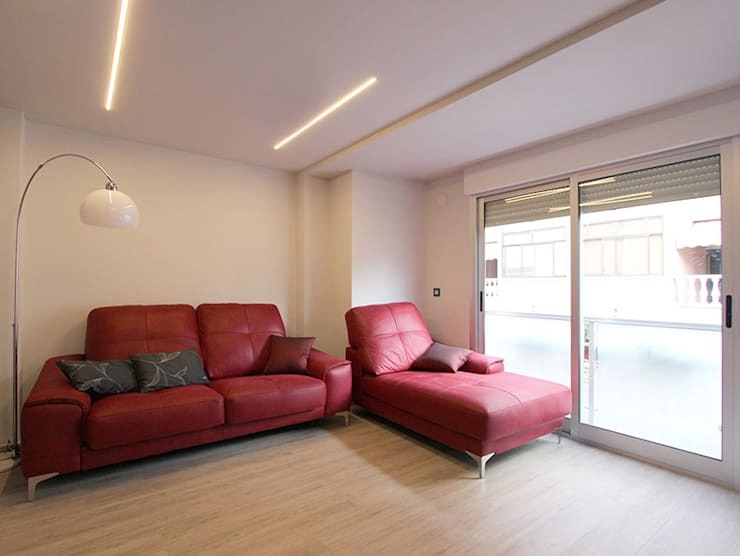 The living area looks trendy and stylish with its wooden floor, sliding glass doors, modern lights and the red couch that matches the kitchen countertop. 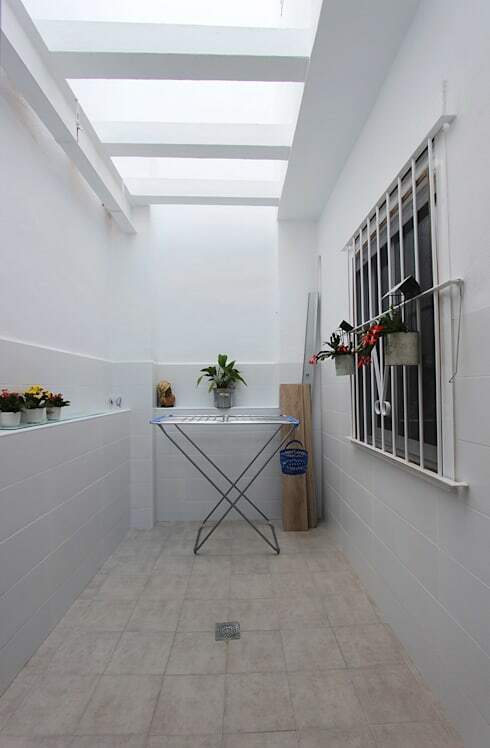 The outdoor space connected to the utility area was previously dull and shabby, with outdated tiles and nothing remotely appealing about it. 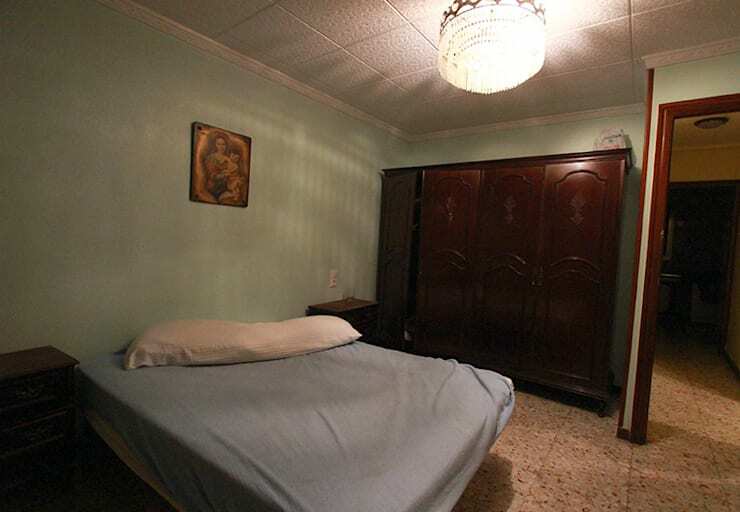 What can we say about this sad bedroom? It's certainly not a room where anyone would want to spend much time! 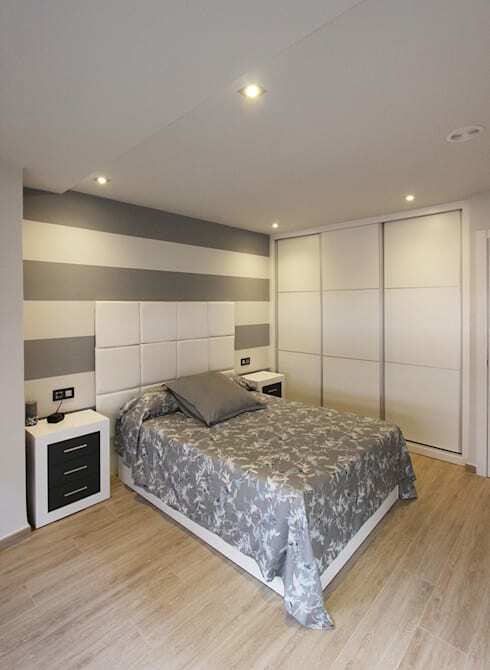 A bedroom is a place for comfort and relaxation, and Novodeco have nailed the look! The white and grey décor, recessed lights and modern cabinets combine for a sophisticated appearance—and the bed looks cosy. 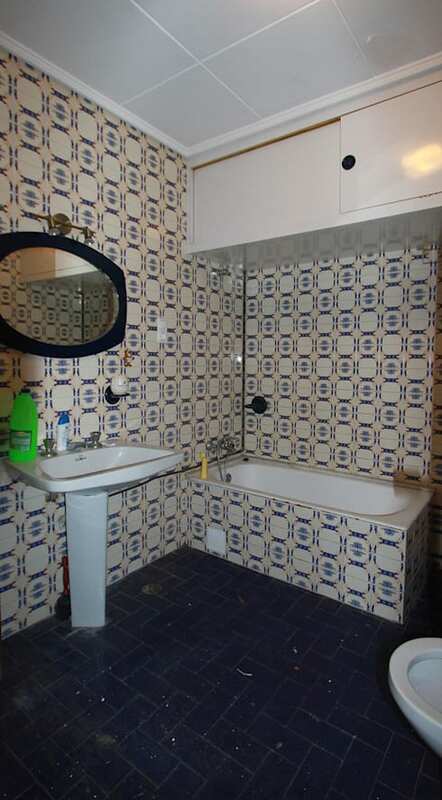 The blue and white colour palette in the old bathroom is not unappealing, but very dated and needs a modern touch. 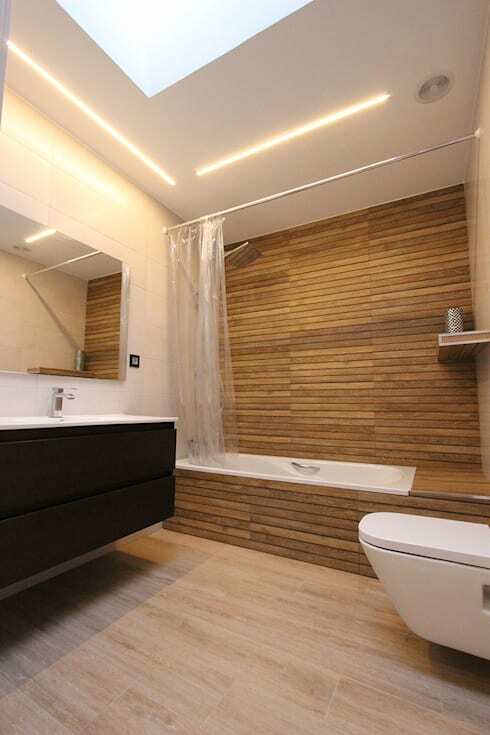 The bathroom has transformed into a chic space with elegant fittings, gorgeous wooden panelling, linear lights and a skylight to let in that natural glow. Novodeco have done a superb job of transforming a mediocre house into a stylish home! Take a look at another ideabook for more ideas: The modern stone home built for family life!